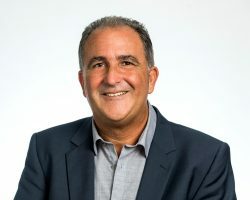 Bruce Bercovitch is a highly respected Sales Professional known for his passion, dedication and approach to real estate. From the initial meeting to moving day, Bruce ensures that every last detail of buying and selling a property is handled with your best interests in mind. When you decide to buy or sell, he will be your guide, your negotiator, and your advocate. Having lived and worked in the Greater Ottawa area for his entire life, Bruce has a thorough knowledge of our beautiful city. He knows the region’s neighbourhoods and most importantly, current real estate trends. If you are looking to buy or sell real estate, one of your most important decisions is choosing the right REALTOR®. Bruce’s professional background includes over 30 years of business ownership, sales management and mentorship. Bruce has been involved in the purchase and sale of many properties, including houses, condominiums, recreational property, investment property, and commercial property. Regardless of your budget or neighbourhood choices, Bruce has an unwavering commitment to his clients. His sharp instincts, foresight and ability to anticipate market trends, enables him to lead and create opportunities for buyers and sellers in up, down, volatile and changing markets. Bruce lives in Ottawa with his wife Karin, and has two university-aged daughters, Ariana and Dahlia. Bruce’s wide range of interests include family, travel, home improvement, reading, gourmet cooking, gardening, photography, golf, and helping others achieve their goals. Bruce looks forward to partnering with you on your next real estate transaction.